Browse our current new Chevy Cruze inventory, then contact Gregg Young Chevrolet of Plattsmouth to schedule a Ralston area test drive. Our 2019 Chevrolet Cruze LS Sedan is a total attention getter in Silver Ice Metallic! Powered by a TurboCharged 1.4 Liter 4 Cylinder that offers 153hp while matched with an innovative 6 Speed Automatic transmission for amazing passing power. With our Front Wheel Drive, enjoy swift acceleration while attaining near 40mpg on the highway. Our Cruze LS is sculpted to aerodynamic perfection and has a sporty appearance you'll praise each time you open the garage door. Designed to work hard for you, our LS offers a peaceful drive with plentiful amenities including a remote starter, air-conditioning, an adjustable driver seat, a tilt-and-telescoping steering wheel, and folding rear seatbacks that provide ample space for all of your gear. Staying safely connected is a breeze with Bluetooth, OnStar with available 4G LTE connectivity/WiFi, MyLink infotainment with a prominent touchscreen display, Apple CarPlay, Android Auto, and more! Respectfully refined, our Chevrolet Cruze LS comes with stability control, four-wheel anti-lock disc brakes, and advanced airbags. Delivering all the technology, efficiency, and style you crave, our Cruze is an outstanding choice you've got to see for yourself. Print this page and call us Now... We Know You Will Enjoy Your Test Drive Towards Ownership! We offer PRE-APPROVAL programs so call (515) 256-4010 to get started today! At Gregg Young Chevrolet... We'll Go The Extra Mile For You. We have an app for that! Download the Gregg Young Chevrolet application directly to your iPhone or Android. Take 19% off MSRP on select vehicles with GM Financing. Must have a '05 or newer non-GM vehicle in the household to qualify. Some restrictions apply. See dealer for details. Not compatible with 0% financing. Ready for your next adventure in Steel Gray Metallic, our 2019 Chevrolet Cruze LT Sedan is a spectacular blend of performance, efficiency, and style! Powered by a TurboCharged 1.4 Liter 4 Cylinder that offers 153hp while connected to a responsive 6 Speed Automatic transmission for easy passing. Enjoy swift acceleration with plenty of power for merging, while attaining near 40mpg on the highway in this Front Wheel Drive. Our Cruze LT is sculpted to aerodynamic perfection and has a sporty appearance you'll praise each time you open the garage door. Designed to work hard for you, our LT offers a peaceful drive with plentiful amenities including cruise control, a center armrest, steering wheel mounted audio and phone interface controls and 60/40-split folding rear seatbacks that offer ample space for all of your gear. Staying safely connected is a breeze with Bluetooth, MyLink infotainment with a prominent touchscreen display, Apple CarPlay, Android Auto, available satellite radio, and more! Our Chevrolet Cruze LT doesn't miss a beat and provides confidence with stability control, four-wheel anti-lock disc brakes, advanced airbags, and even offers a Teen Driver feature. Delivering all the technology, efficiency, and style you crave, our Cruze is an outstanding choice you've got to see for yourself. Print this page and call us Now... We Know You Will Enjoy Your Test Drive Towards Ownership! We offer PRE-APPROVAL programs so call (402) 572-8080 to get started today! At Gregg Young Chevrolet... We'll Go The Extra Mile For You. We have an app for that! Download the Gregg Young Chevrolet application directly to your iPhone or Android. Take 19% off MSRP on select vehicles with GM Financing. Must have a '05 or newer non-GM vehicle in the household to qualify. Some restrictions apply. See dealer for details. Not compatible with 0% financing. Ready for adventure in Silver Ice Metallic, our 2018 Chevrolet Cruze LT Hatchback is a spectacular blend of performance, efficiency, and style! Powered by a TurboCharged 1.4 Liter 4 Cylinder that offers 153hp while connected to a responsive 6 Speed Automatic transmission for easy passing. Enjoy swift acceleration with plenty of power for merging, while attaining near 40mpg on the highway in this Front Wheel Drive. Our Cruze LT is sculpted to aerodynamic perfection and has a sporty appearance you'll praise each time you open the garage door. Designed to work hard for you, our LT offers a peaceful drive with plentiful amenities including cruise control, a center armrest, steering wheel mounted audio and phone interface controls and 60/40-split folding rear seatbacks that offer ample space for all of your gear. Staying safely connected is a breeze with Bluetooth, OnStar with available 4G LTE connectivity/WiFi, MyLink infotainment with a prominent touchscreen display, Apple CarPlay, Android Auto, available satellite radio, and more! Our Chevrolet Cruze LT doesn't miss a beat and provides confidence with stability control, four-wheel anti-lock disc brakes, advanced airbags, and even offers a Teen Driver feature. Delivering all the technology, efficiency, and style you crave, our Cruze is an outstanding choice you've got to see for yourself. Print this page and call us Now... We Know You Will Enjoy Your Test Drive Towards Ownership! Price includes: Processing Fee, $2,500 - General Motors Consumer Cash Program. Exp. 04/30/2019, $750 - GM Down Payment Assistance Program. Exp. 04/30/2019 Price includes $1000 CTP Bonus Cash select CTP units. Some restrictions apply see dealer for details. Not compatible with 0% financing. Ready for adventure in Mosaic Black Metallic, our 2018 Chevrolet Cruze LT Hatchback is a spectacular blend of performance, efficiency, and style! Powered by a TurboCharged 1.4 Liter 4 Cylinder that offers 153hp while connected to a responsive 6 Speed Automatic transmission for easy passing. Enjoy swift acceleration with plenty of power for merging, while attaining near 40mpg on the highway in this Front Wheel Drive. Our Cruze LT is sculpted to aerodynamic perfection and has a sporty appearance you'll praise each time you open the garage door. Designed to work hard for you, it offers a peaceful drive with plentiful amenities including cruise control, a center armrest, steering wheel mounted audio and phone interface controls and 60/40-split folding rear seatbacks that offer ample space for all of your gear. Staying safely connected is a breeze with Bluetooth, OnStar with available 4G LTE connectivity/WiFi, MyLink infotainment with a prominent touchscreen display, Apple CarPlay, Android Auto, available satellite radio, and more! Our Chevrolet Cruze LT doesn't miss a beat and provides confidence with stability control, four-wheel anti-lock disc brakes, advanced airbags, and even offers a Teen Driver feature. Delivering all the technology, efficiency, and style you crave, our Cruze is an outstanding choice you've got to see for yourself. Print this page and call us Now... We Know You Will Enjoy Your Test Drive Towards Ownership! Take 18% off MSRP on select vehicles with GM Financing. Must have a '05 or newer non-GM vehicle in the household to qualify. Some restrictions apply. See dealer for details. Not compatible with 0% financing. Ready for your next adventure in Summit White, our 2019 Chevrolet Cruze LT Sedan is a spectacular blend of performance, efficiency, and style! Powered by a TurboCharged 1.4 Litre 4 Cylinder that offers 153hp while connected to a responsive 6 Speed Automatic transmission for easy passing. Enjoy swift acceleration with plenty of power for merging, while attaining near 5.9L/100km on the highway in this Front Wheel Drive. Our Cruze LT is sculpted to aerodynamic perfection and has a sporty appearance you'll praise each time you open the garage door. Designed to work hard for you, our LT offers a peaceful drive with plentiful amenities including cruise control, a center armrest, steering wheel mounted audio and phone interface controls and 60/40-split folding rear seatbacks that offer ample space for all of your gear. Staying safely connected is a breeze with Bluetooth, MyLink infotainment with a prominent touchscreen display, Apple CarPlay, Android Auto, available satellite radio, and more! Our Chevrolet Cruze LT doesn't miss a beat and provides confidence with stability control, four-wheel anti-lock disc brakes, advanced airbags, and even offers a Teen Driver feature. Delivering all the technology, efficiency, and style you crave, our Cruze is an outstanding choice you've got to see for yourself. Print this page and call us Now... We Know You Will Enjoy Your Test Drive Towards Ownership! Purchasers have the right to request and review this vehicle's history, and any other pertinent information specifically related to the vehicle including, but not limited to: (i) as whether the vehicle had been used as a rental vehicle at any time, (ii) where the vehicle was registered in a different jurisdiction, (iii) certain damage suffered or sustained by the vehicle; or (iv) whether any incidents or collisions have occurred with this particular vehicle. These specific details relating to this vehicle will be provided upon request from the Purchaser. All prices are plus tax, title, license, and fees. $2,000 - General Motors Consumer Cash Program. Exp. 04/30/2019, $750 - GM Down Payment Assistance Program. Exp. 04/30/2019 Price includes $250 CTP Bonus Cash select CTP units. Some restrictions apply see dealer for details. Not compatible with 0% financing. Ready for your next adventure in Pepperdust Metallic, our 2019 Chevrolet Cruze LT Sedan is a spectacular blend of performance, efficiency, and style! Powered by a TurboCharged 1.4 Liter 4 Cylinder that offers 153hp while connected to a responsive 6 Speed Automatic transmission for easy passing. Enjoy swift acceleration with plenty of power for merging, while attaining near 40mpg on the highway in this Front Wheel Drive. Our Cruze LT is sculpted to aerodynamic perfection and has a sporty appearance you'll praise each time you open the garage door. Designed to work hard for you, our LT offers a peaceful drive with plentiful amenities including cruise control, a center armrest, steering wheel mounted audio and phone interface controls and 60/40-split folding rear seatbacks that offer ample space for all of your gear. Staying safely connected is a breeze with Bluetooth, MyLink infotainment with a prominent touchscreen display, Apple CarPlay, Android Auto, available satellite radio, and more! Our Chevrolet Cruze LT doesn't miss a beat and provides confidence with stability control, four-wheel anti-lock disc brakes, advanced airbags, and even offers a Teen Driver feature. Delivering all the technology, efficiency, and style you crave, our Cruze is an outstanding choice you've got to see for yourself. Print this page and call us Now... We Know You Will Enjoy Your Test Drive Towards Ownership! We offer PRE-APPROVAL programs so call (515) 256-4010 to get started today! At Gregg Young Chevrolet... We'll Go The Extra Mile For You. We have an app for that! Download the Gregg Young Chevrolet application directly to your iPhone or Android. Take 19% off MSRP on select vehicles with GM Financing. Must have a '05 or newer non-GM vehicle in the household to qualify. Some restrictions apply. See dealer for details. Not compatible with 0% financing. Ready for your next adventure in Mosaic Black Metallic, our 2019 Chevrolet Cruze LT Sedan is a spectacular blend of performance, efficiency, and style! Powered by a TurboCharged 1.4 Liter 4 Cylinder that offers 153hp while connected to a responsive 6 Speed Automatic transmission for easy passing. Enjoy swift acceleration with plenty of power for merging, while attaining near 40mpg on the highway in this Front Wheel Drive. Our Cruze LT is sculpted to aerodynamic perfection and has a sporty appearance you'll praise each time you open the garage door. Designed to work hard for you, our LT offers a peaceful drive with plentiful amenities including cruise control, a center armrest, steering wheel mounted audio and phone interface controls and 60/40-split folding rear seatbacks that offer ample space for all of your gear. Staying safely connected is a breeze with Bluetooth, OnStar with available 4G LTE connectivity/WiFi, MyLink infotainment with a prominent touchscreen display, Apple CarPlay, Android Auto, available satellite radio, and more! Our Chevrolet Cruze LT doesn't miss a beat and provides confidence with stability control, four-wheel anti-lock disc brakes, advanced airbags, and even offers a Teen Driver feature. Delivering all the technology, efficiency, and style you crave, our Cruze is an outstanding choice you've got to see for yourself. Print this page and call us Now... We Know You Will Enjoy Your Test Drive Towards Ownership! We offer PRE-APPROVAL programs so call (515) 256-4010 to get started today! At Gregg Young Chevrolet... We'll Go The Extra Mile For You. We have an app for that! Download the Gregg Young Chevrolet application directly to your iPhone or Android. Take 19% off MSRP on select vehicles with GM Financing. Must have a '05 or newer non-GM vehicle in the household to qualify. Some restrictions apply. See dealer for details. Not compatible with 0% financing. 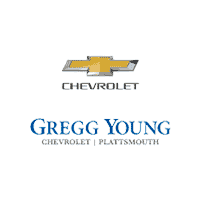 Why Gregg Young Chevrolet of Plattsmouth? If you have any questions, please don’t hesitate to call us at (402) 296-3210, or stop by our Council Bluffs area Chevy dealership today!